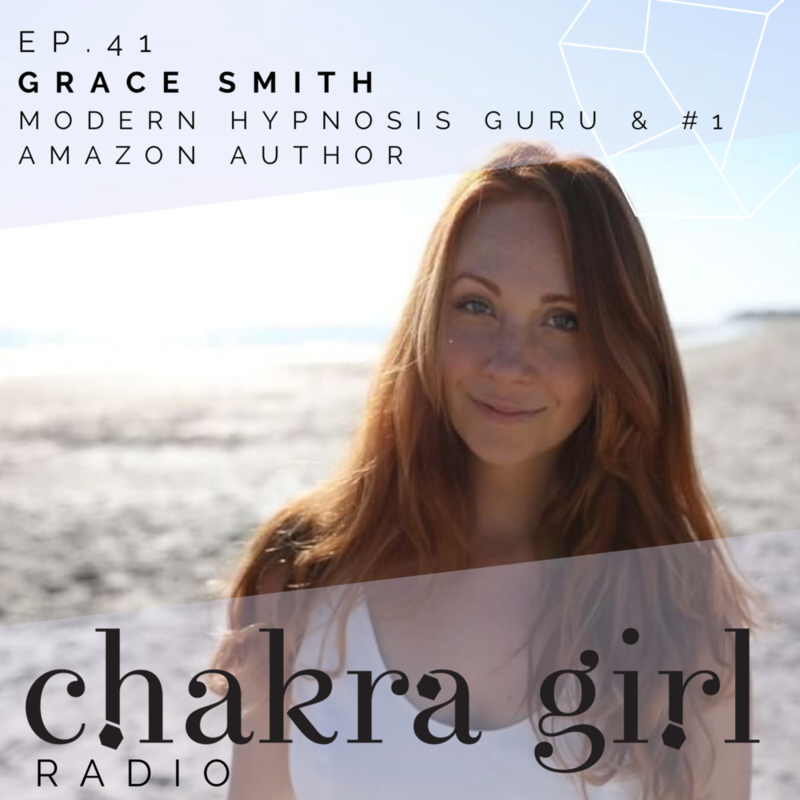 Grace Smith, Hypnosis and Re-Programming Your Mind — Chakra Girl Co.
On this episode of Chakra Girl Radio we’re speaking with the magical, modern hypnotist, Grace Smith. She is making hypnosis mainstream and super accessible, with an app, website and her unreal book (which was #1 on freakin Amazon! ), Close Your Eyes, Get Free. Grace is on a mission to make hypnosis mainstream and let me tell you, after this episode I am officially all about it! + And guys, we are LITERALLY getting hypnotized by Grace, live on this episode, to increase our confidence! You do NOT want to miss this episode! This episode is brought to you by: The Chakra Girl Meditation Bundle. I created this series of meditations for you to tap into your chakra energy with me every day, because as you know, when you activate your chakras you can manifest anything! Get the series of fun and easy guided meditations I created after years of practicing, researching and creating an abundant AF life, so you too can activate your chakras and manifest whatever you want! Use Coupon Code "podcast" to get $10 off! Buy this course and get the Meditation Bundle FREE! 1 more week until I am in LA for a week and then Paris and London! + I have an awesome new post for you to check out at my Charka Bible resource centre. It’s got all my tips and tricks to staying zen while working from home! Make sure to check in every Thursday for the latest post! Wear the right clothes to support your chakras. Listen to the episode to hear more about the clothes I’ve been wearing to support my root chakra! AND you can check out my latest blog post to find out what clothes I wear to Stay Zen and Productive When Working From Home and a bunch of other stay-chill tips! LA Made - they cutest freaking clothes and they are so so comfy! I tell you more about my go to pieces in the episode. Go check them out! Here are the links to all the products Grace and I talk about on this episode! 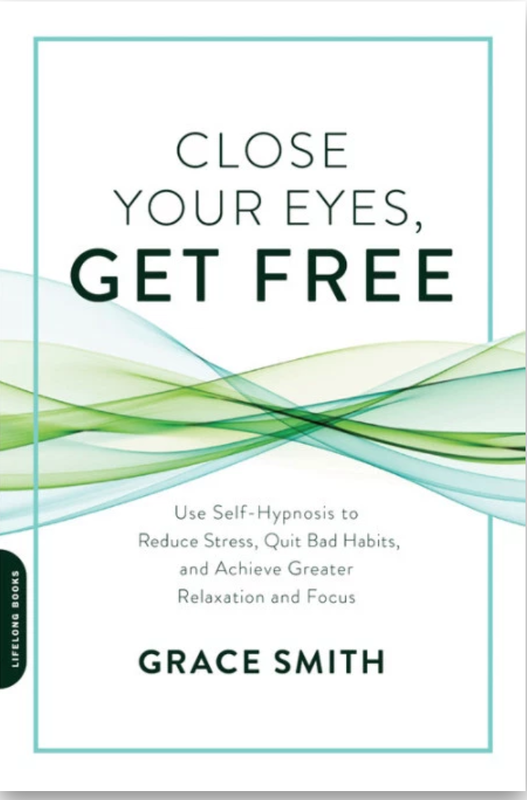 + “Close Your Eyes, Get Free” – Grace’s Book!